A lot of moral questions are packed into this quick read, and I was thinking about the story long after I finished the book. You know that there will be a murder, but all the events leading up to the murder leave you wondering how it could have possibly happened. 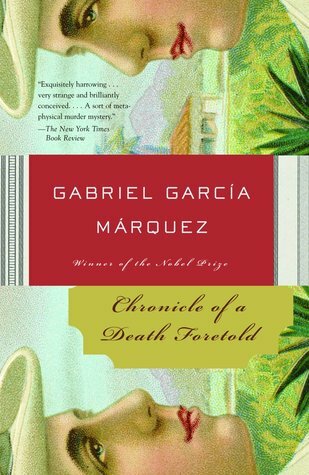 I enjoyed Garcia Marquez's journalistic style in this book. Recommend! Sign into Goodreads to see if any of your friends have read Chronicle of a Death Foretold.